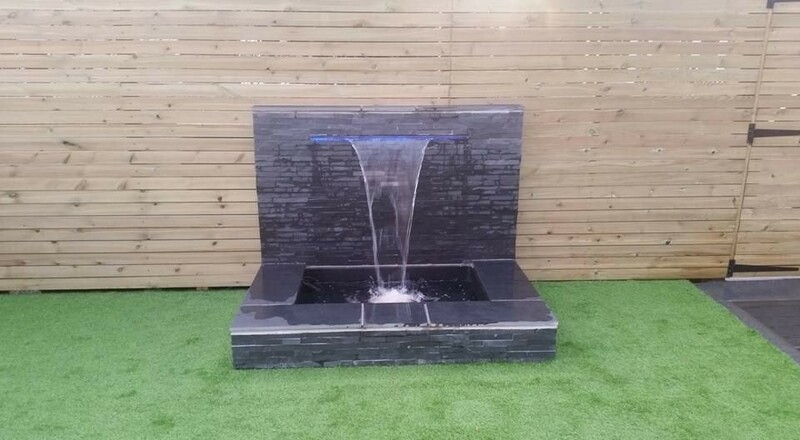 Over the years we have been dedicated to sourcing the best quality materials we can find. 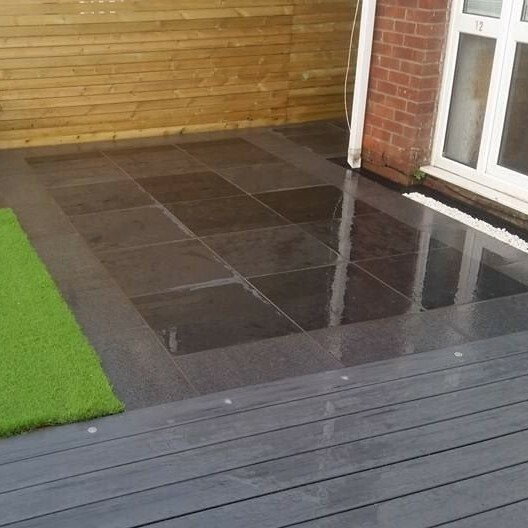 People often ask what is the difference between Brazilian slate paving and Chinese slate paving . 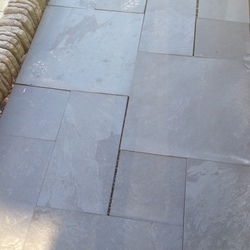 Personally they both look very similar in appearance , the Brazilian slate is a little more of a matt black colour & the Chinese is more of a blue black shiny colour. 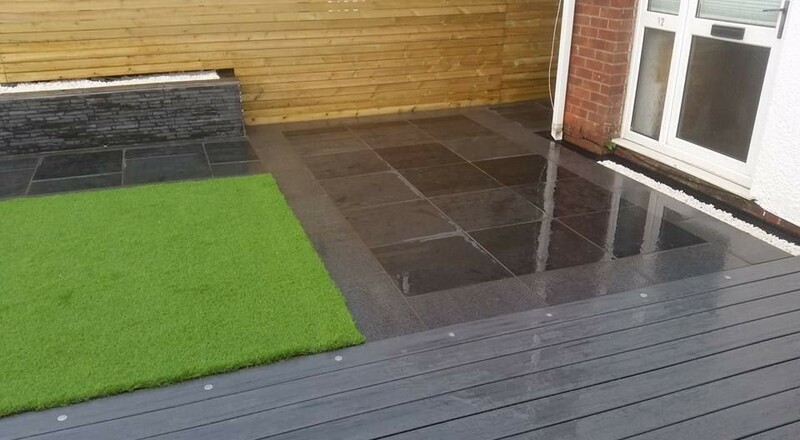 Both products will wear the same way ., My advice , If you want a product with a little more character on the surface then choose Chinese slate , If you would like an almost perfect flat finish then go for a Brazilian slate. 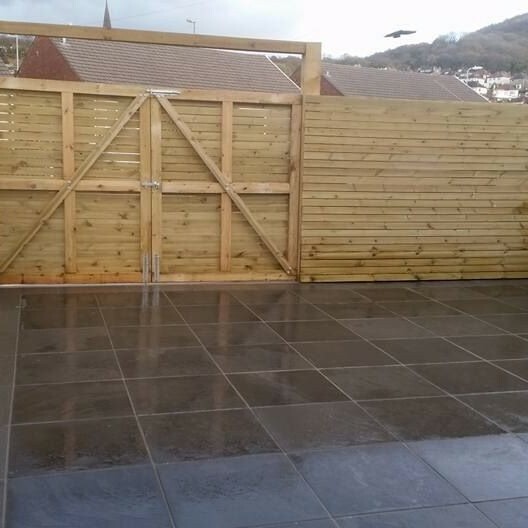 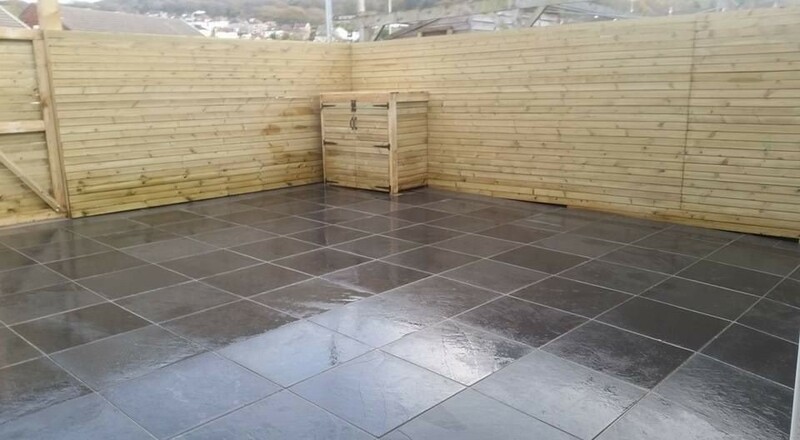 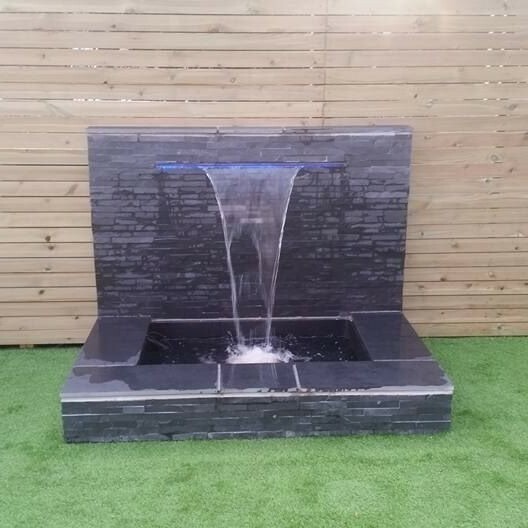 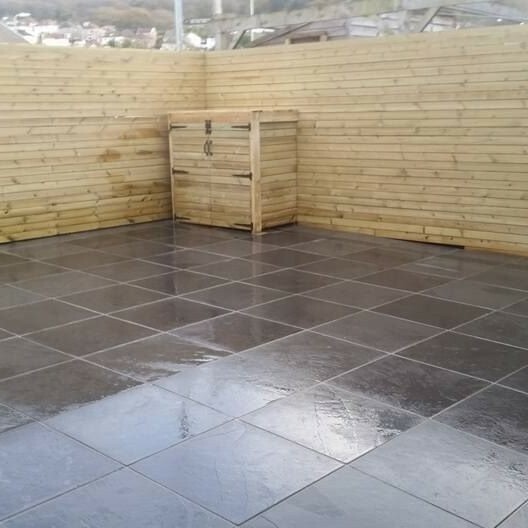 Both slates are kept in stock and can be delivered with in 2-3 days from point of order. 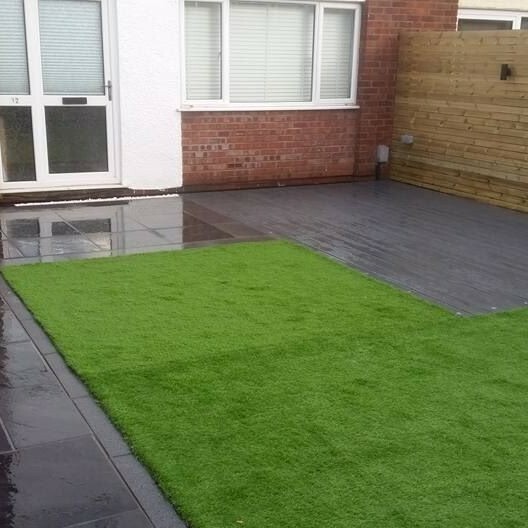 Free samples can be sent out so you can see the difference. 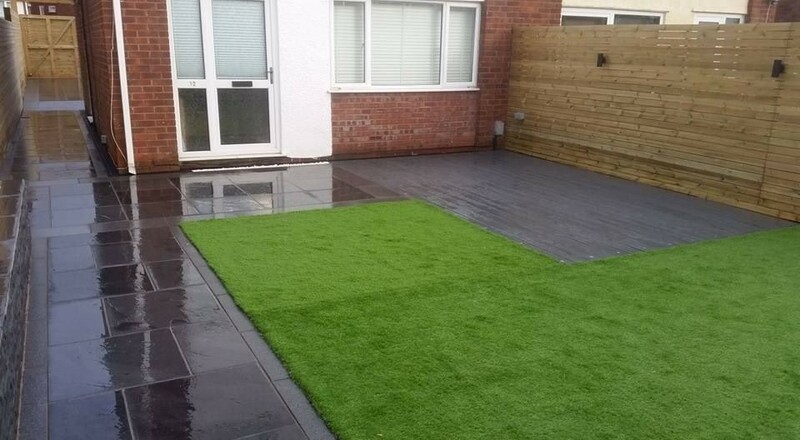 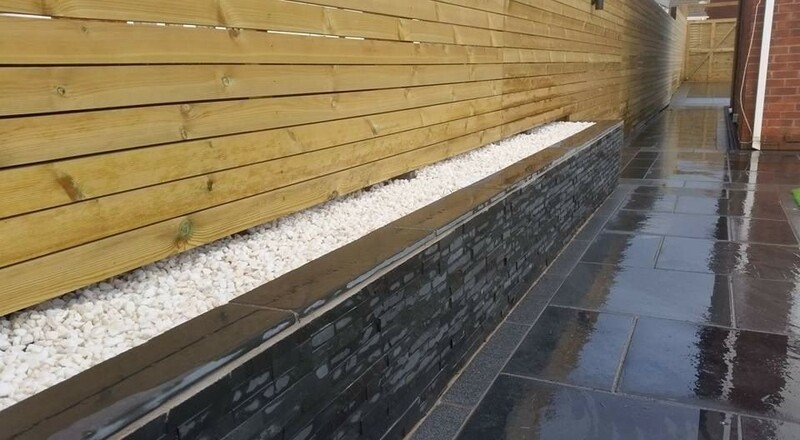 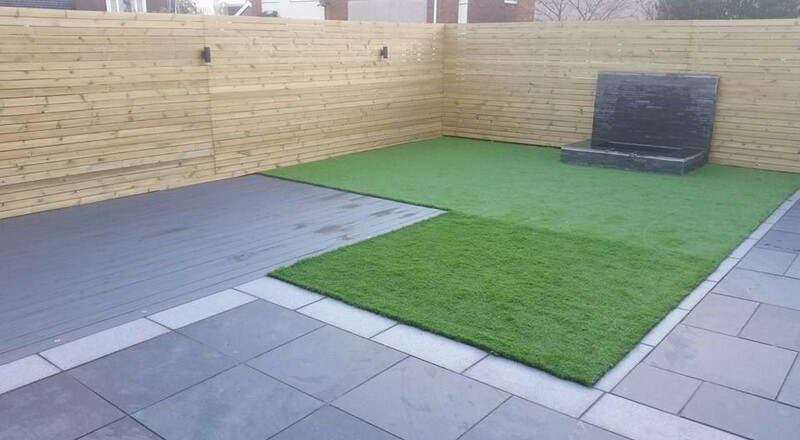 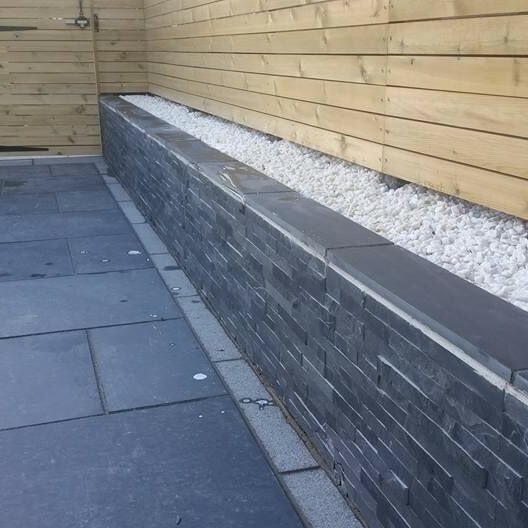 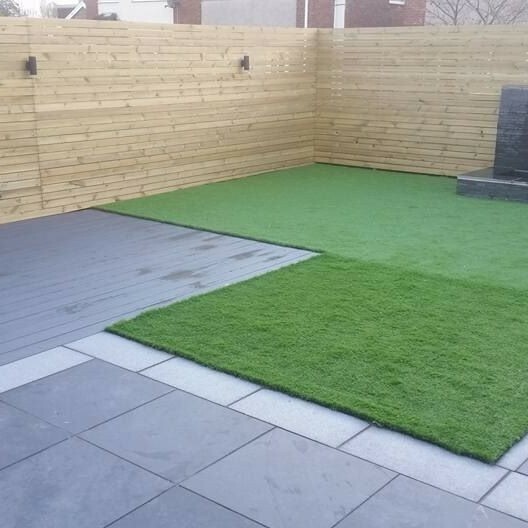 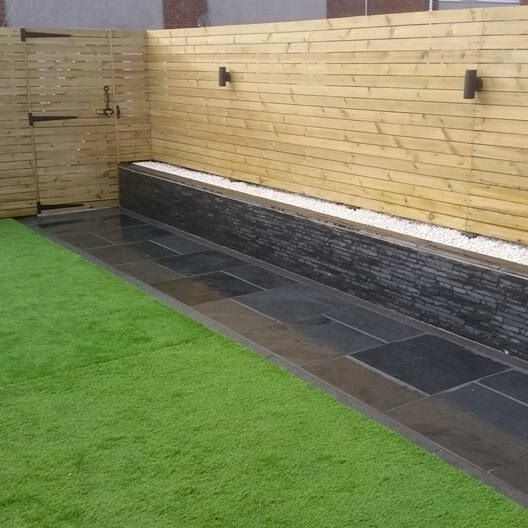 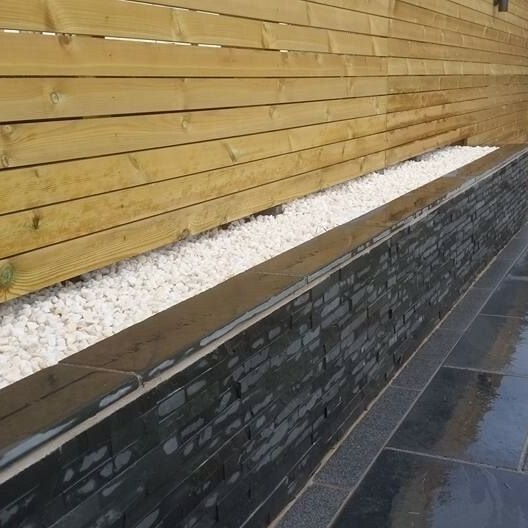 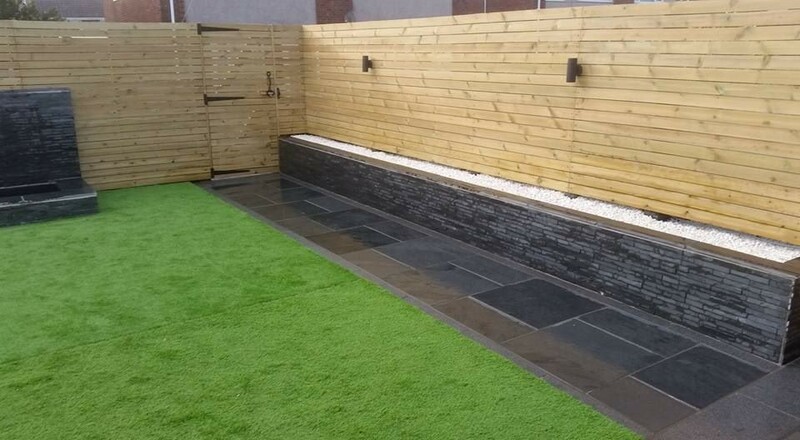 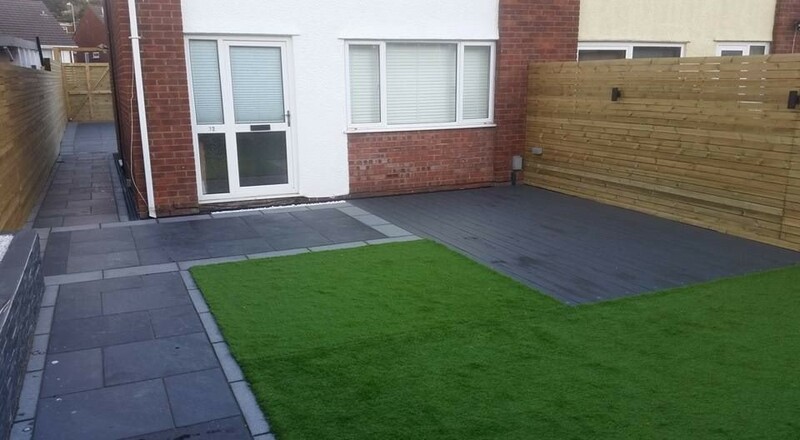 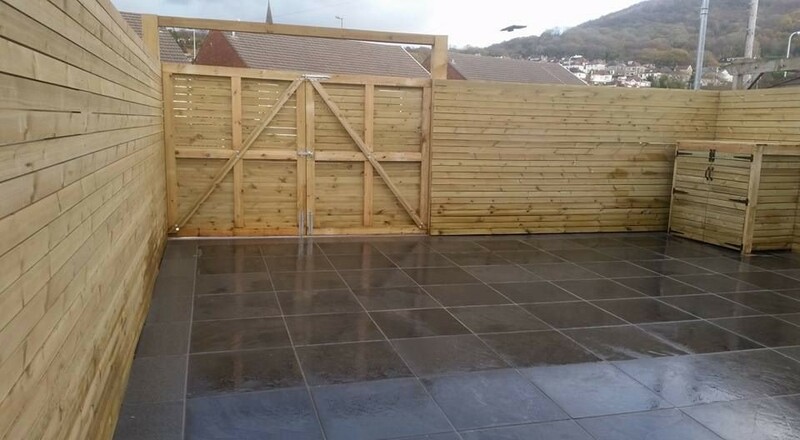 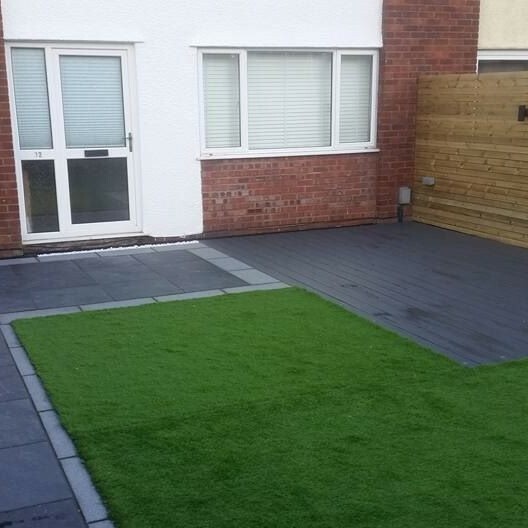 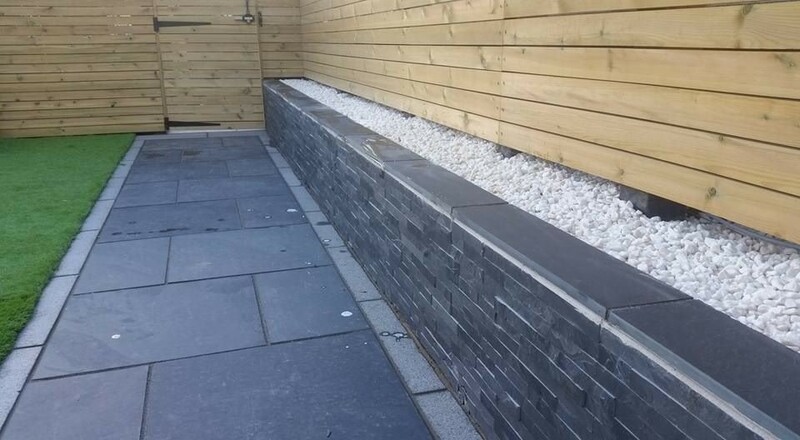 The Brazilian slate in the photos has been installed with a dark grey granite border.